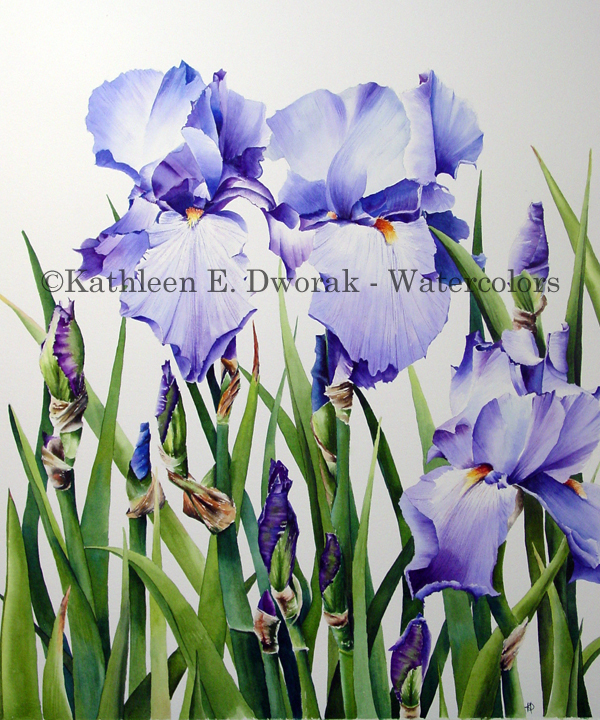 Irises are my favorite flower; I love to paint them! Each spring I travel to the Royal Botanical Gardens in Hamilton, Ontario, and photograph the glorious irises- using up as much film as I can carry! I paint my flowers from photos- each painting takes me a long time and the flowers would never last that long!